You might think from what you’ve read about it that the Zillow-Trulia merger is going to be like the resurrection of Godzilla. 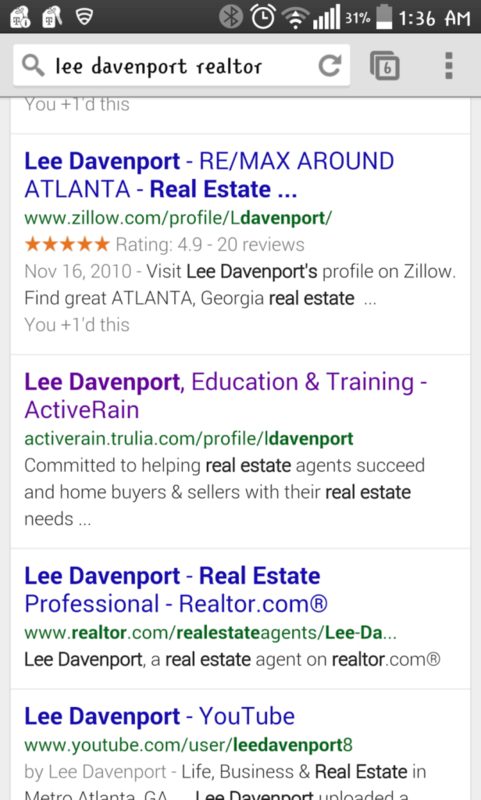 Notice in the image below that if someone searches for me using my name and the term “Realtor,” my profiles on Zillow and ActiveRain (the Trulia-owned agent blog) appear higher than realtor.com in the search results. Screen shot of realtor.com from mobile device’s Web browser. Say it isn’t so! This needs to change, stat. Additionally, notice that Zillow shows an agent’s ratings, which is known to be an enticement for Web searchers to click on a link. And no, I am not paying for ads on Zillow but, because of their SEO placement, I constantly get leads from them. Let’s get this on track, please, realtor.com. If you notice in the mobile screen shot below, the realtor.com consumer experience is … ummm, cluttered! 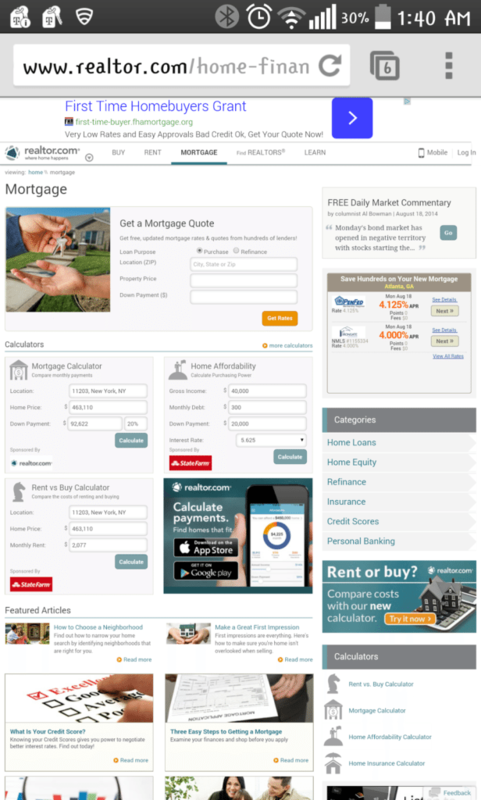 Screen shot of realtor.com’s home finance landing page. This was very uninviting for me as a real estate broker, and I can only imagine how this is a turnoff to prospective clients searching the site. The realtor.com home page hits Web surfers with informative articles that are laced with real estate jargon. This may not pose a problem for repeat sellers and buyers, but can be intimidating for first-time buyers or sellers. Also, the “Find a Realtor” search is cluttered with designations (i.e., the Agent Alphabet Soup like ABR, ALC, etc.) with no layperson’s explanation of their meanings, which is vital for newbies to the homebuying or selling process. 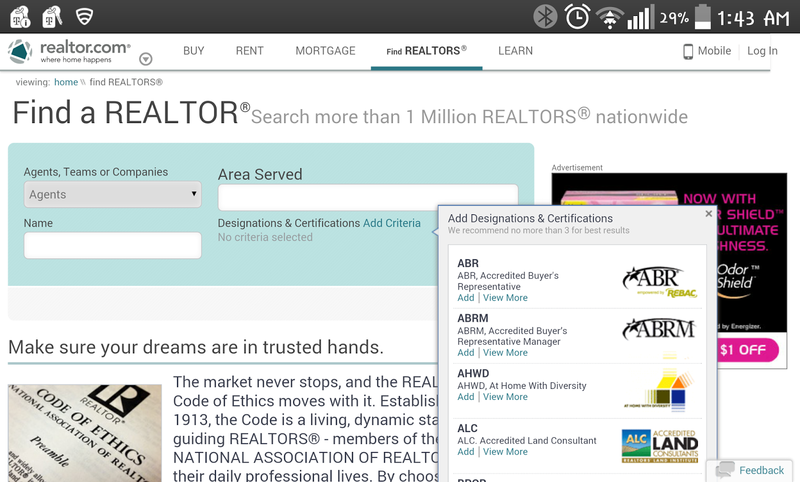 Screen shot of “Find a Realtor” tool showing drop-down allowing users to search for Realtor by designations and certifications. Realtor.com should be more user-friendly, and written in everyday, understandable and plain vernacular instead of industry jargon. This may mean hiring a writer unfamiliar with Realtors to be able to translate the site into common terms. 1. 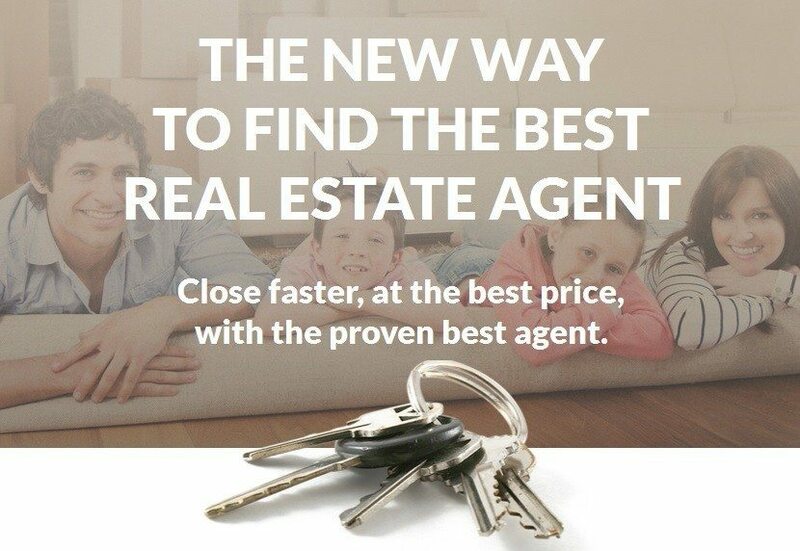 Make realtor.com the best and most sophisticated way to find a Realtor! With all the jargon, this site seems like it is more for Realtors than consumers. 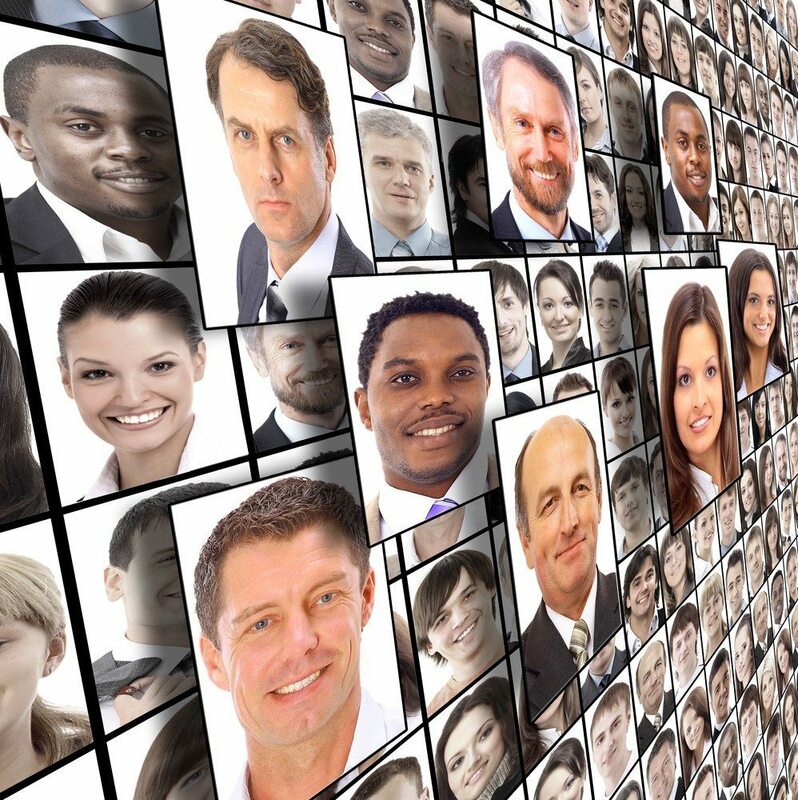 But it can serve Realtors best by attracting more buyer and seller clients. Realtor.com has a unique branding opportunity to become the eHarmony or Match.com of real estate agents and the homebuying and selling public. See my mock up of this. Zillow and Trulia have thrived by offering more information around listings than what was typically available on traditional broker and agent real estate sites. Zillow is known for its Zestimates, for example — home valuations that are lacking in accuracy but still have a captive audience. Realtor.com should be known for aptly matching buyers and sellers with Realtors. 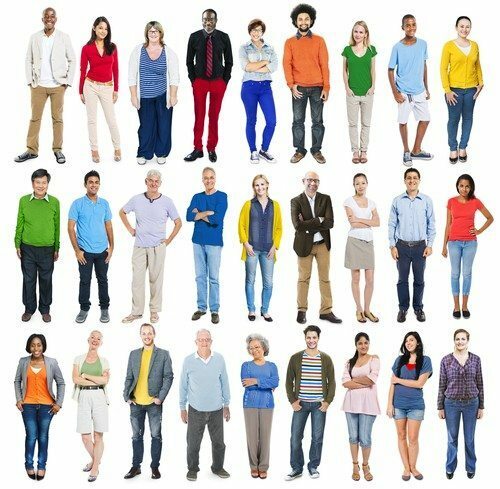 If consumers knew that every time they needed to buy or sell, their home would be handled by a near perfectly matched Realtor from realtor.com, this site’s audience would skyrocket. Of course, realtor.com should continue to host real estate listing data, search, ads and informative articles. But it should be called realtor.com for a reason — because buyers and sellers can use it to find well-matched, capable Realtors. I would love to see and help this come to pass, so that realtor.com can innovate beyond the perceived threat of Godzulia. This is not to say that there is anything wrong or right about the Zillow-Trulia merger. But realtor.com represents us. 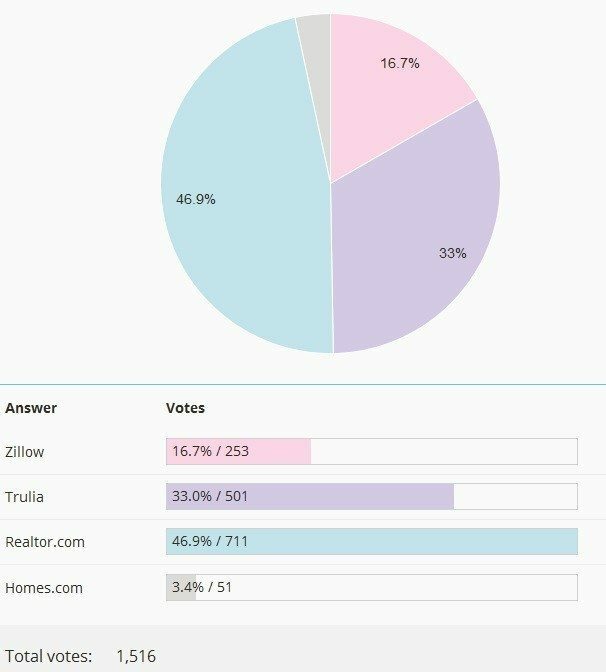 As our namesake, realtor.com should do better than the other guys. Lee Davenport is a licensed broker and the owner of Agents Around Atlanta Plus, which provides training and on-demand agent coaching for local Realtor associations, franchisors and brokerages.